Emily Farrow (1844-1938) was the daughter of John Farrow and Amy Dowdy of Flitcham. She married Thomas Savory (1842-1927). 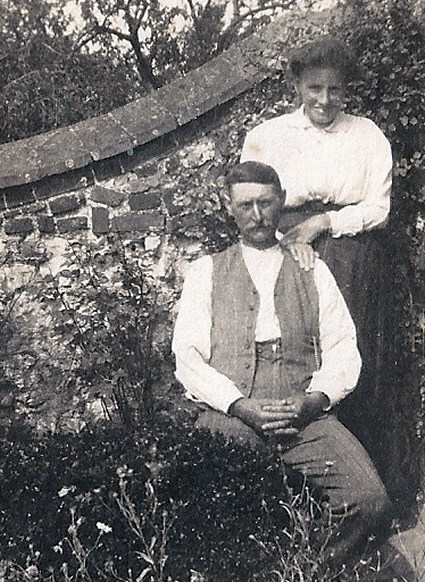 They had 11 children and their 5th child James Savory (1873-1955) married Catherine Elizabeth Edge (1875-1934) on the 7 April 1898. James and Catherine ("Kate") Savory had 4 daughters: Hilda, Alice, Ivy and Lilian. For photos of the daughters click here. Caroline, one of James Savory's sisters (b.16 June 1871 in Flitcham). 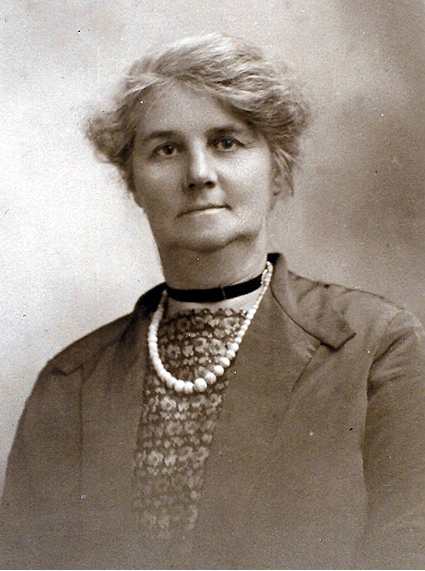 She married John Benjamin Jarvis on the 26 February 1898 in Flitcham. She lived at 9 Chapel Cottage, Flitcham and died at Gayton Institution on the 3rd December 1943. 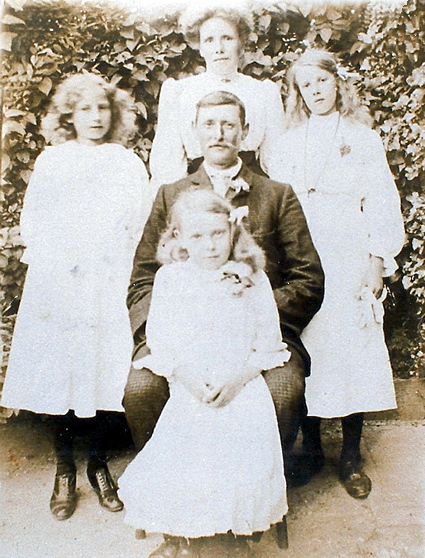 James and Catherine with daughters Alice (left); Hilda (right) and little Ivy. Etherell Savory b.30 December 1887 in Flitcham youngest sibling of James and Caroline. 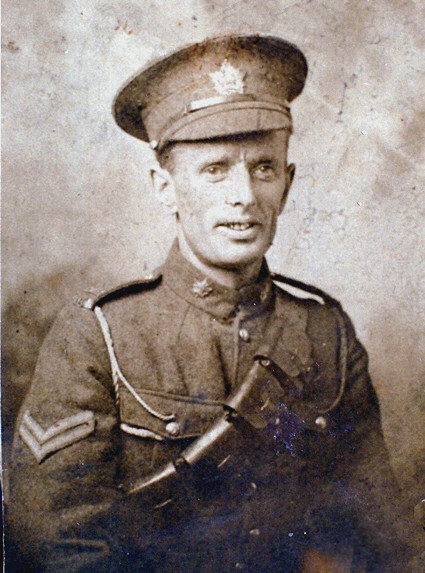 He emigrated to Toronto in 1910 and enlisted in the Canadian Army and changed his name from Etherell to Edward. He married Agnes Maria Godden in 1913 and died 29 November 1953 in Toronto. 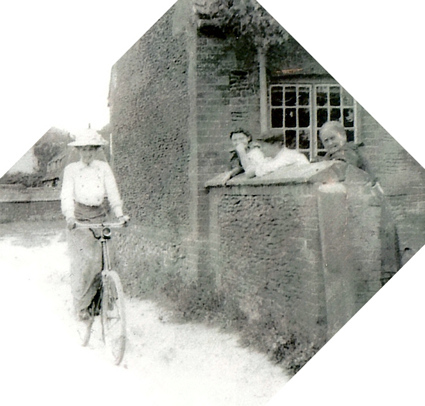 Emily Farrow (far right) outside her home in Church Road, Flitcham. The woman on the bike is almost certainly Catherine Edge. 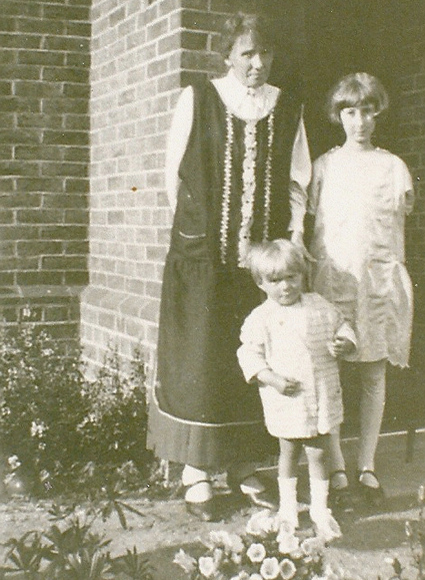 Catherine Savory (Edge) with daughter Ivy Kathleen and youngest daughter Lilian Mary.